LOTS OF FLAVOR. LOTS OF PASSION. LOTS OF POWER. If you want to produce the world’s best beef jerky, you have to invest a lot of time and passion. In addition to 100% premium beef, over 130 years of experience and a lot of skill and patience go into Jack Link’s Beef Jerky. The Beef Jerky owes its unique flavor to an old secret recipe. We can only tell you this: the meat is cut into thin slices, seasoned with select ingredients, and then slowly dried. 200g of beef becomes 100g of exquisite Beef Jerky. 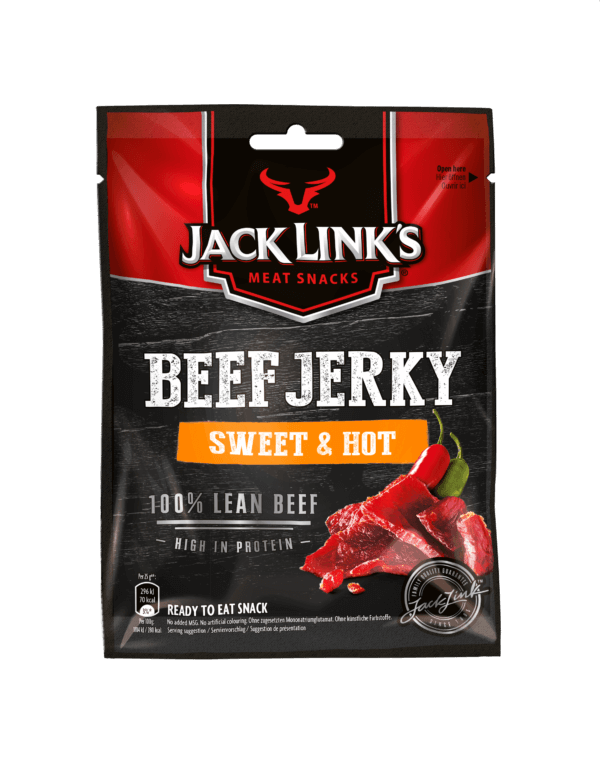 By the way, the high protein content (44%) and small amount of fat (3%) make Jack Link’s Beef Jerky the perfect snack between meals, whether it’s after the gym or simply on the go. 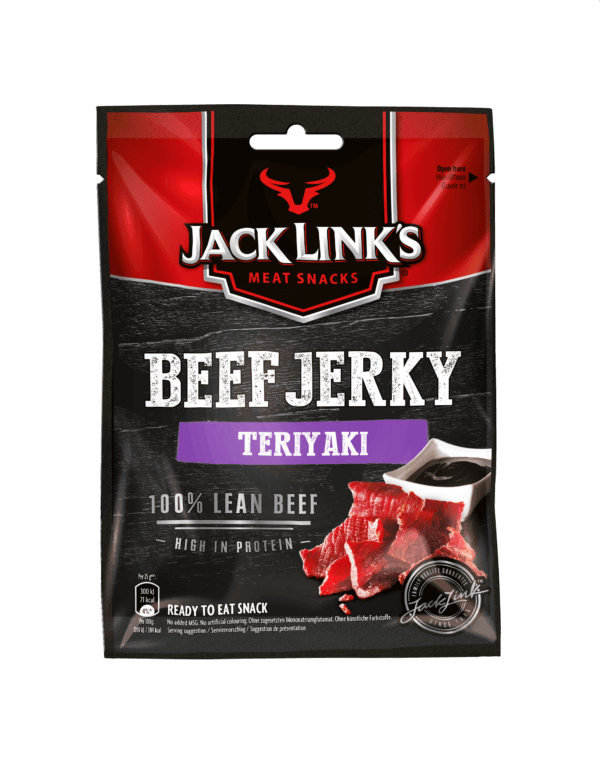 Jack Link’s Beef Jerky is available in 25g bags and in resealable 75g bags. Pure. Unadulterated. Genuine. Premium beef with a signature, slightly smoky sweetness ensures an authentic, enjoyable meat experience. The irresistible combination of sweet and spicy leaves behind an unforgettable flavor on the tongue. The best ingredients in the Wild West and the Far East come together. Savory soy sauce and a touch of ginger give the meat a fruity Asian flavor.